Summary: Wainwright described the predominant north central ridge of his beloved Lake District Fells as an area "where there are many swamps, the worst in Lakeland, where walkers seldom venture" He added "in the course of the eight miles from Greenup to Rakefoot this ridge, although in the very heart of the district is crossed by two footpaths only". 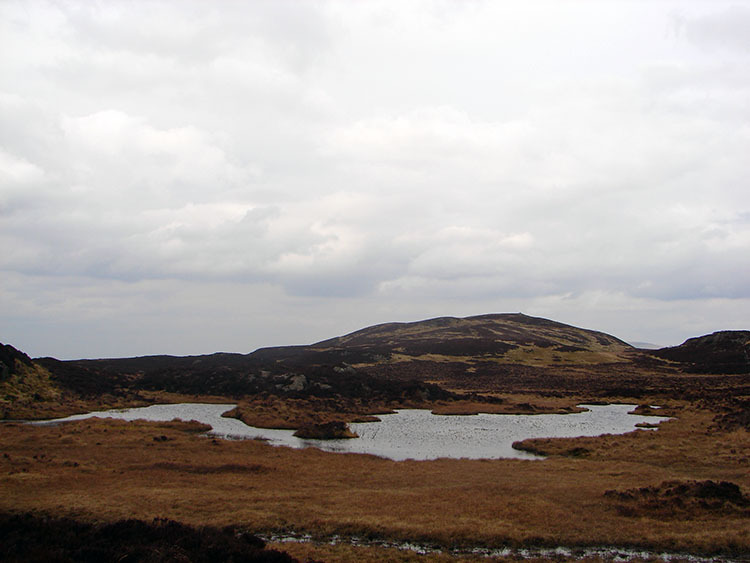 I used one of the two footpaths to access the ridge and although my walk was indeed boggy in places it was a great adventure, a lonely trail but for one other soul I met and a place of stunning beauty with views of awesome splendour north, east, south and west. 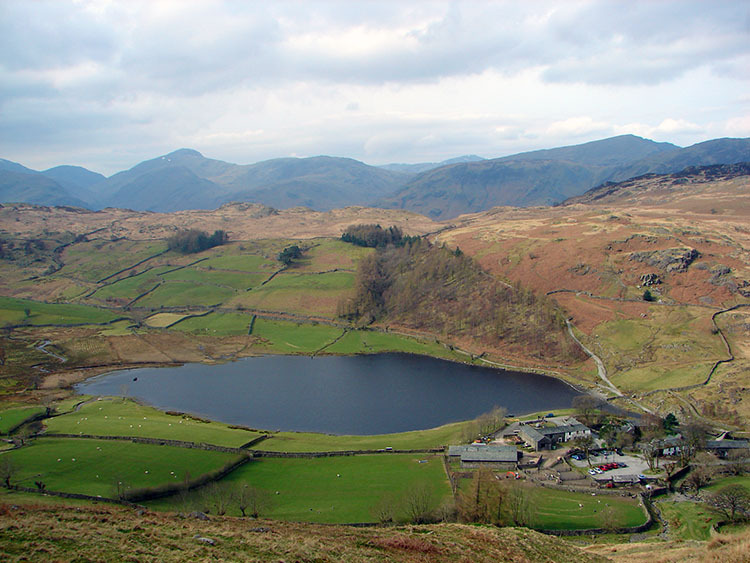 What more could one expect on the most central high ground in the Lake District. I loved it! Alfred Wainwright was not particularly complimentary about these fells. 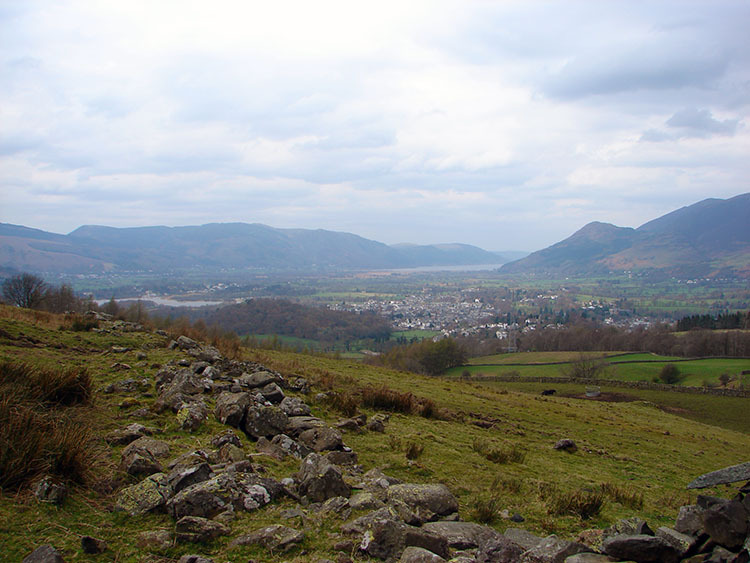 In fact he was somewhat derisory claiming the upland area as the boggiest in all of Lakeland. True, there are sections to which he had justifiable claim of being sodden for all but the driest part of the year but there would be a travesty if the script in his pictorial guides puts off fell walkers from visiting. The views alone are magnificent when up in this most central area of the Lake District with great views north, east, south and west. I loved my time up here, most of it spent solitary apart from one single encounter with one other fell walker. Let's go for a walk then shall we. This walk is linear as my wife Lil drove me to my start point at Watendlath. The drive itself was an adventure with Lil negotiating tight bends on a very narrow road with walls closing in all around. There were time when I exclaimed "You're too close to the wall on my side!". Her retorts were "Shut up Michael, I know what I am doing". She did and after safely depositing me in Watendlath she left for a relaxing browse around the shops in Keswick while I headed from the National Trust car park in Watendlath on the 250 metre ascent to High Tove which would be my first of five Wainwright Fells encountered during the day. The first part of the climb was on a stone path until I reached a gate beside trees. Then the firm path ended and I tracked directly east to High Tove. The ground underfoot was squelchy but held firm. 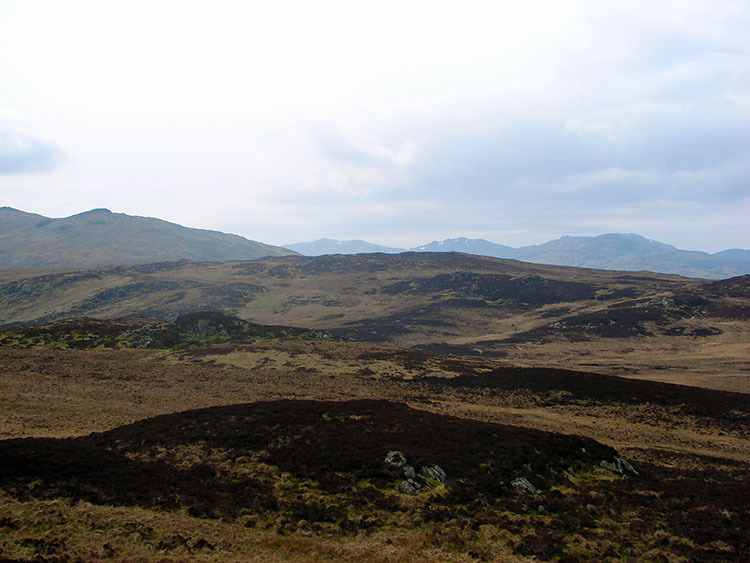 At High Tove I studied Armboth Fell, my next objective. 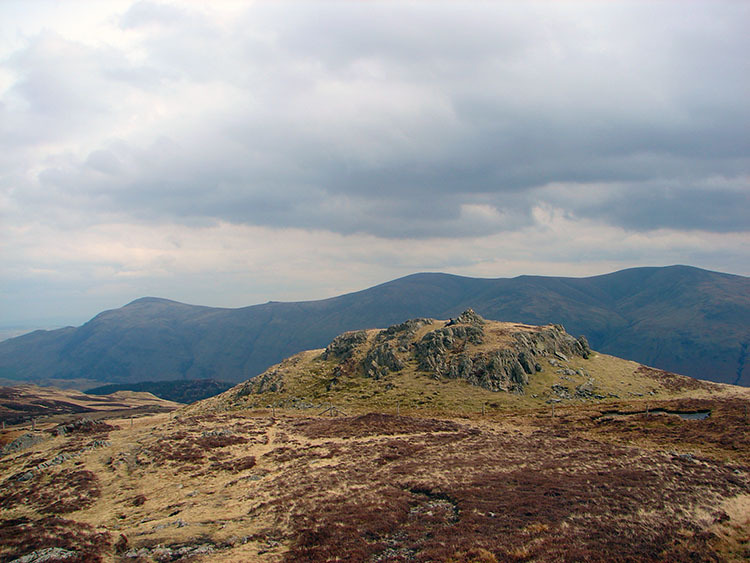 Wainwright classed Armboth Fell as the most centrally situated fell of all Lakeland. However he asserted the flat desolate top to be a quagmire, a tangle of heather and mosses. Still he recorded it so I had to go to it. It was little more than a small drop and short climb from High Tove. I took a beeline and made it by bounding over the springy ground which luckily held my frame. 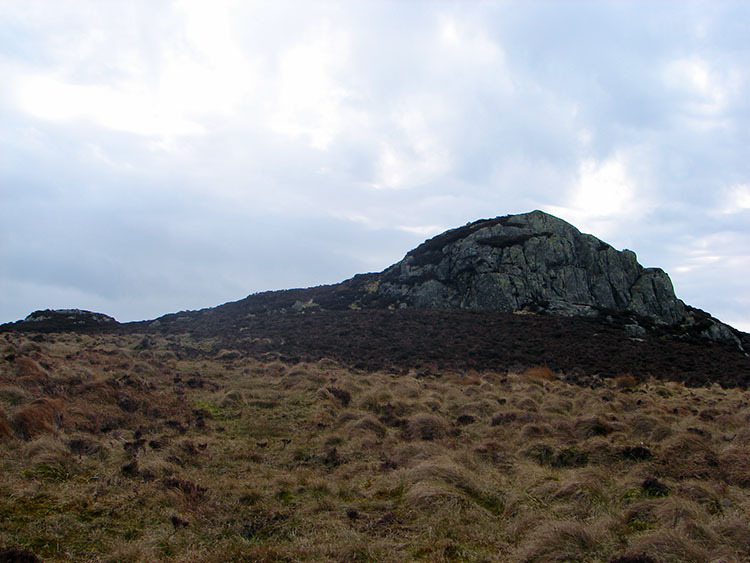 The rocky outcrop on top of Armboth Fell was a delight to climb. I did so and celebrated with a refreshing drink before tracking west to a fence line at Middle Crag which I then followed north back to the summit of High Tove, another peak dismissed as uninteresting by Wainwright. High Tove completed, my next goal was High Seat a prominence seen clearly one mile directly to the north. In between the two highs there had to be encountered a notorious low that Wainwright described as squelchy. He was not wrong for the hike between High Tove and High Seat was a difficult negotiation of bog, peat hags and general swamp. At the bottom of the bowl I went in to my knees. Good job it stopped there, I was recollecting the scene in 'Hounds of the Baskervilles' where one of the villains is sucked into a quagmire, never to be seen again. 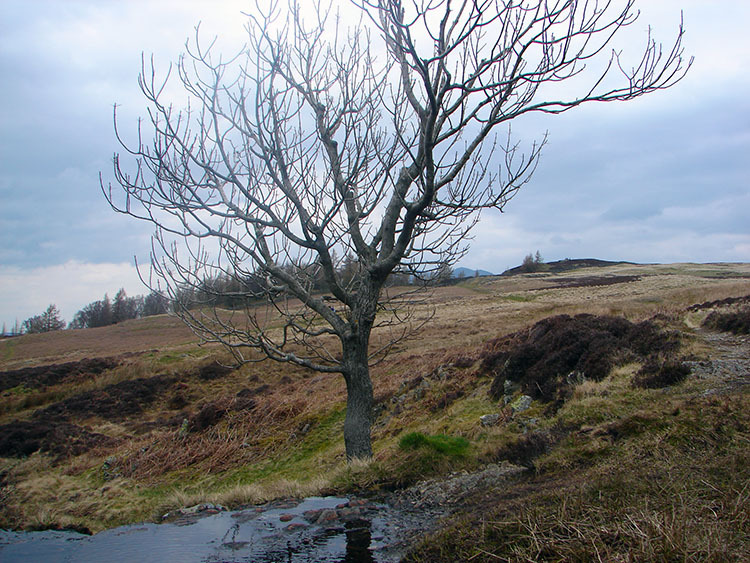 I was luckier and heaved myself out to sit on a peaty bank, pull off my boots and squeeze all the water out of my socks. After the housework I set off again, only this time taking more care to avoid a similar descent below ground level. Eventually I gained some height on the ascent to High Seat and the going became easier. At this point I also spotted another intrepid soul negotiating the same path. We waved to each other, a hikers recognition of effort. At High Seat I rested at the trig point. The other hiker arrived at an adjoining outcrop and took his lunch. As he ate I took in the panorama, a wonderful sight that Wainwright described as "A first class viewpoint, with much of interest to see in all directions. The serrated skyline from south to north west is remarkably good and will gain most attention" He was right as that direction took in all the big mountains including Crinkle Crags, Bowfell, Scafell, Great Gable, Pillar and Robinson; all climbed previously. 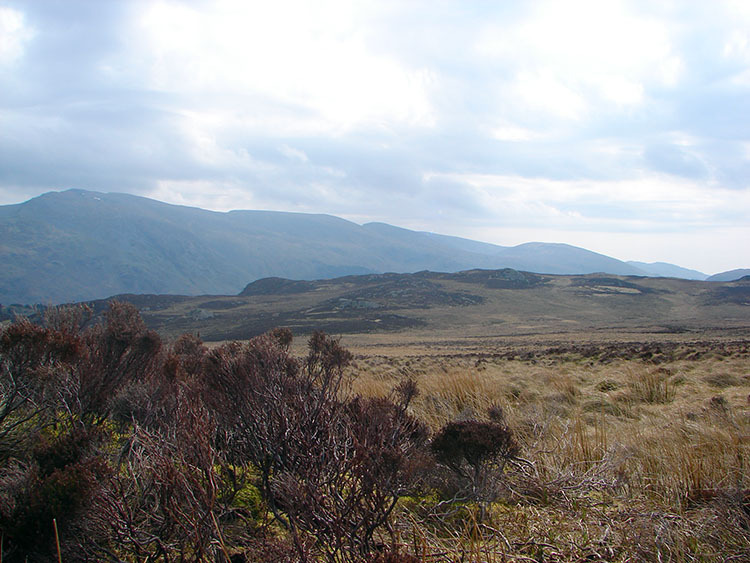 Reluctantly I walked off High Seat and continued north to my next destination, Bleaberry Fell. The walk was remarkably similar to that taken from High Tove to High Seat although this time I put more thought into where I was putting my feet which resulted in a dry run. 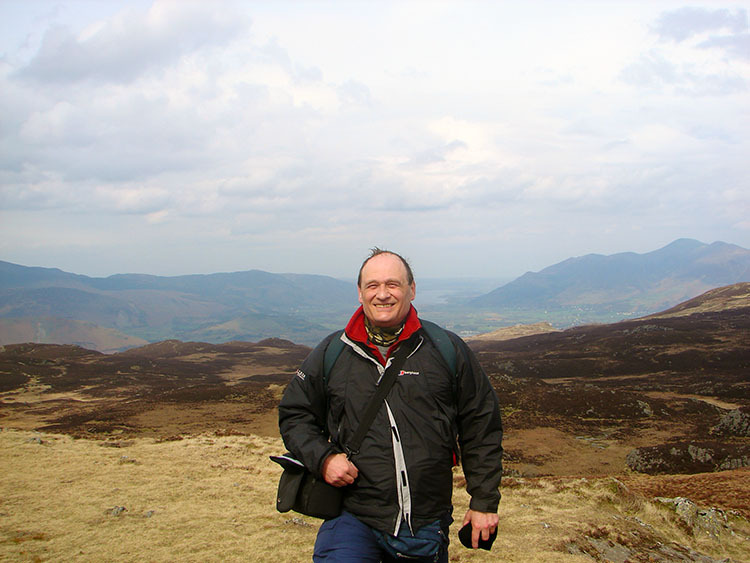 While still looking out at times to take in the captivating views I maintained a steady pace and soon arrived at the summit of Bleaberry Fell. A welcome lunch was deserved and here I took it. As I did so the other walker reached my point and we chatted. We both were in agreement that although this range was water retaining it was interesting in itself for the lush undulations and the spectacular views all around. And we also agreed that the lack of crowds was to be appreciated. He hailed from Blackburn, as did AW. He, like me was visiting for a few days. His friends had left leaving him with a day to walk on his own. He was enjoying it. Asking my route I told him Walla Crag was next followed by leaving the fells at Rakefoot near Keswick. He thought it a good idea and decided to do the same. After courteous goodbyes he went ahead and left me to finish my lunch. 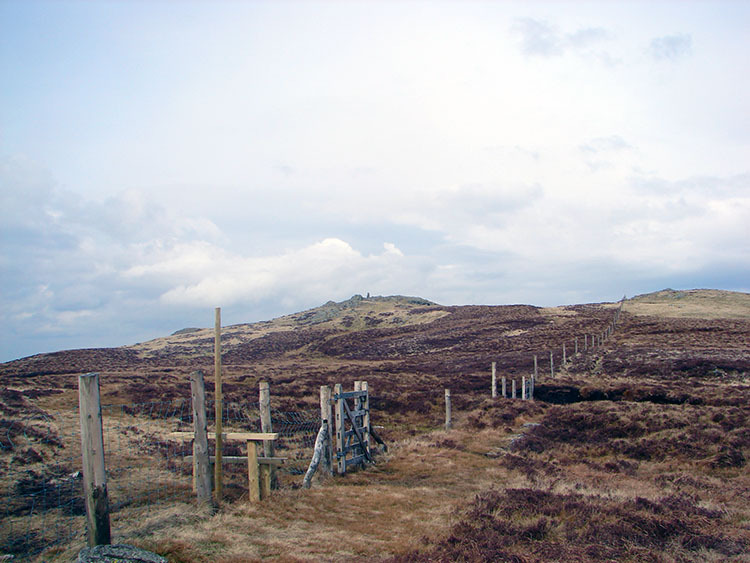 Bleaberry Fell sees the end of the north central ridge. From the top the descent is substantial to the west, north and east. 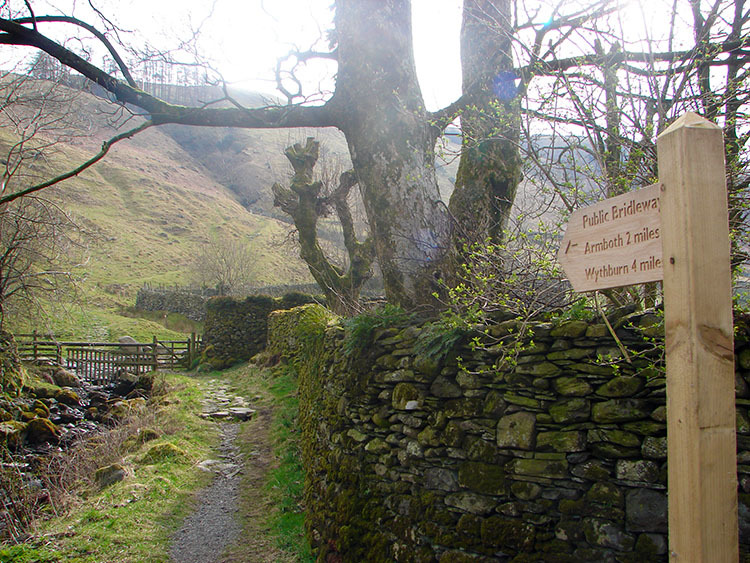 The most used route is west to Cat Gill and then to Walla Crag which was to be my fifth and final Wainwright Fell of the walk. 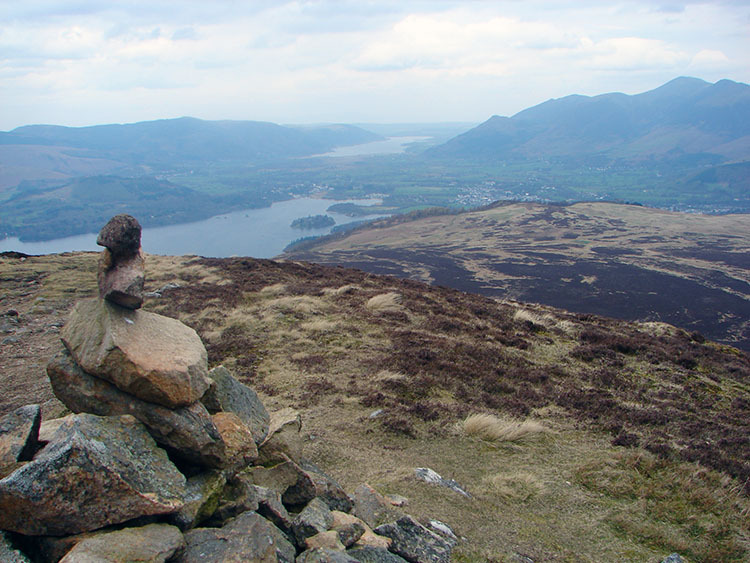 The descent was interesting going as Derwent Water and Bassenthwaite Lake were clearly in view with the Skiddaw range prominently beside them. 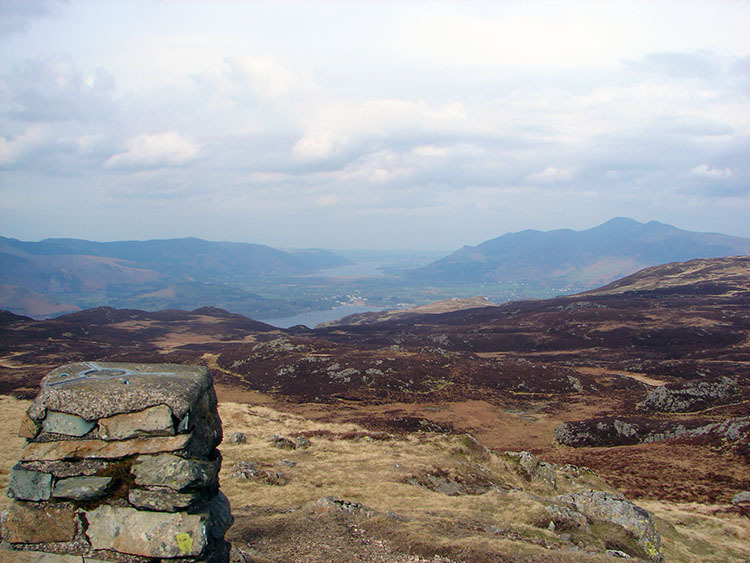 The views from Bleaberry Fell were amongst Wainwrights favourites. He had remarkable taste. On with my descent now, not always the pleasant part of a walk for the reduced height sees the restriction on widespread views most coveted from height. 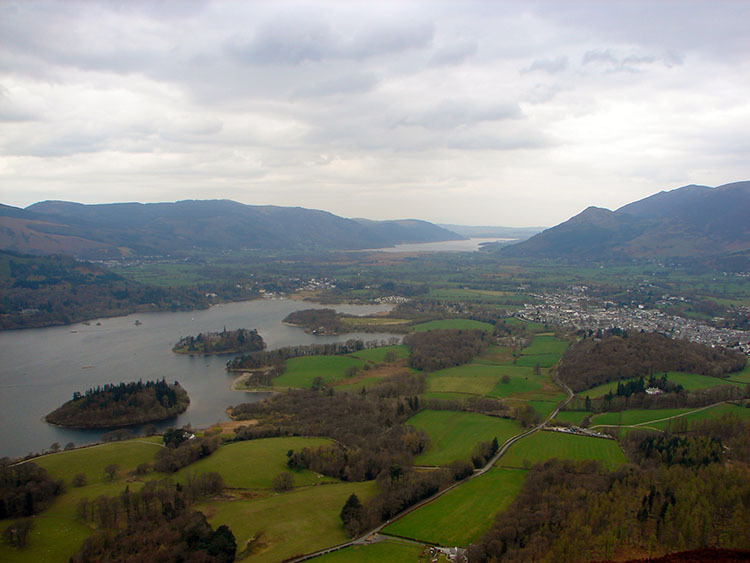 Nevertheless I was promised one last jewel of a view at Walla Crag. I paced on to get there and drink it in before finishing my lovely day on the quietest of fell walks. Before I end this walk I return to Wainwright one last time. His description of Walla Crag goes "a natural beauty of its own, an eminence of intermingled rocks and trees overlooking the east shore of lovely Derwent Water" The only drawback to his reflections was while I had the other fells to my self (single gentleman excused) at Walla Crag I had the hordes; the families, the lovers, the foreign tourists, the pets, the noise. I couldn't blame them for visiting such a spot but I did not dwell. Quick take in of the view, quick photographs taken and quickly off. Now for the finish. The last section of the walk, an easy descent from Walla Crag to Rakefoot was a time for reflection. I recalled the last few hours, the exploratory climb up to High Tove, the negotiation to Armboth Fell, the return to High Tove, the dramatic events of the hike to High Seat, the crossing to Bleaberry Fell and finally the loss of solitude at Walla Crag. As I meditated down to Rakefoot and the waiting wife I was amidst all forms of walkers in all varieties of apparel. One thing was for sure, none were going to where I had been. Their loss.